J. K. Rowling is a not just a household name among Harry Potter fans — she’s also big with pirates. For years, the author’s reluctance to go digital with the beloved Harry Potter series prompted pirates to take matters into their own hands, “publishing” illegal digital copies of the globally popular YA novels on every possible P2P network devoted to fantasy and/or best-selling books. And today, within hours of her first novel for adults — The Casual Vacancy — being released to the public, as Mike Cane notes on his blog, pirated editions appeared in both .mobi and EPUB formats on sharing sites. Of course, now the pirates have no real justifcation for their action, as the book is widely available as an e-book, though at slightly higher prices than one might expect: £11.99 in UK and $17.99 in the US. But it is also available in German and French, as it was released in simultaneous translations with the original. 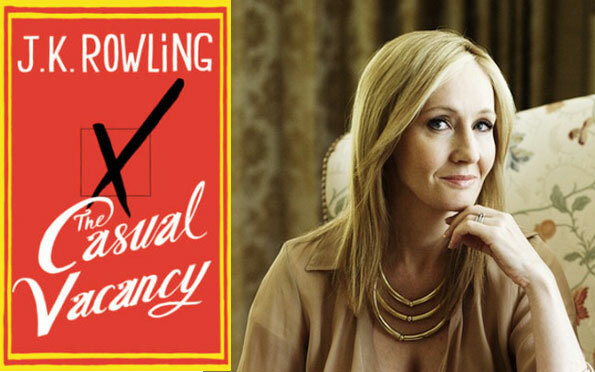 In constrast, Rowling’s Spanish-language publisher, Salamandra, had decided not to publish The Casual Vacancy concurrent with the global English-language edition — and has not yet announced a publication date. Predictably, fans are annoyed — and have taken matters into their own hands, starting a collaborative Spanish-language translation of their own. The effort was originated by the Web site Harry Latino, and while the site won’t host the translation, it has nevertheless appealed to Spanish speaking volunteers who want to collaborate in order to get ahead of the publication date by Salamandra. Should the book appear before the Salamandra version, it won’t likely come as a shock to Sigrid Kraus and Pedro del Carril, Rowling’s publishers in Spain: the same thing happened with Harry Potter and the Half-Blood Prince, with a PDF translation hitting the sharing sites before the official publication reached stores. Back then there were even some who said that the fan-based translation of the work was much better than the legal one. Who knows.